Saying no to Chinese food is generally impossible, especially on Sundays. We often take walks to Chinatown for lunch or just a steamed bun. But we all know good Chinese food frequently sits outside Chinatowns, and the most recent find is Dragon Castle near Elephant and Castle. The large dining room is packed on a Sunday afternoon for dim sum, always a good sign. To start, a cold japanese octopus salad, look at all the little tentacles! 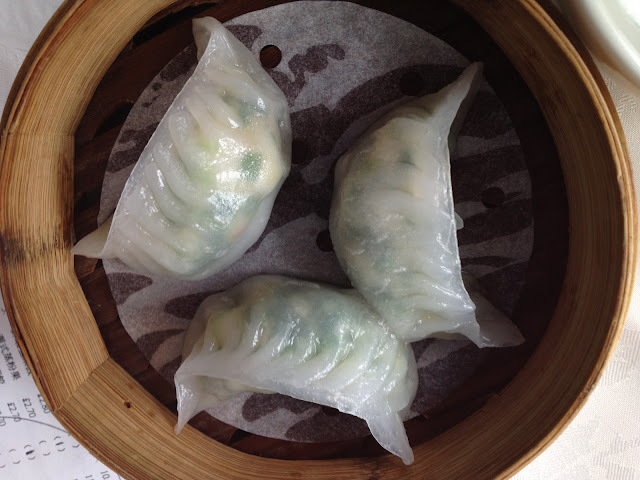 Prawn and chinese chive dumplings, perfectly steamed with huuuuuge chunks of tender prawn and the chives still had a bite. 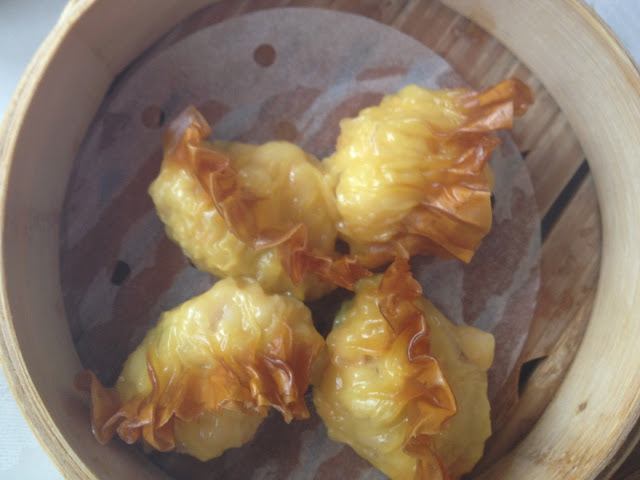 Crab and shark fin dumplings, not what I had expected at all. It a solid dish though admittedly a little forgettable. Braised chicken feet, was ever so soft and almost melted in my mouth. Char siu pork buns generally can't really go wrong, savory roasted pork in delicately sweet and fluffy buns. Vietnamese fried spring rolls is not a typical dish for dim sum, but after these I shall make a strong case that they should become a staple. 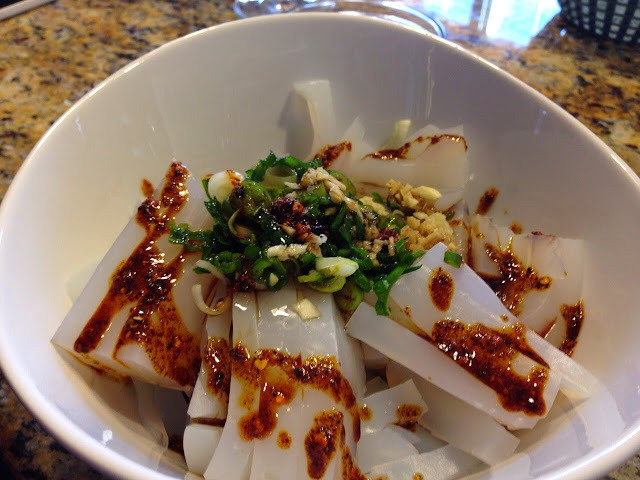 And lastly, one of my favorite and most memorable, cheung fun... perfect. This is high on the "worth it" scale!